Desk Centric Users Courtesy of Dell Solutions. 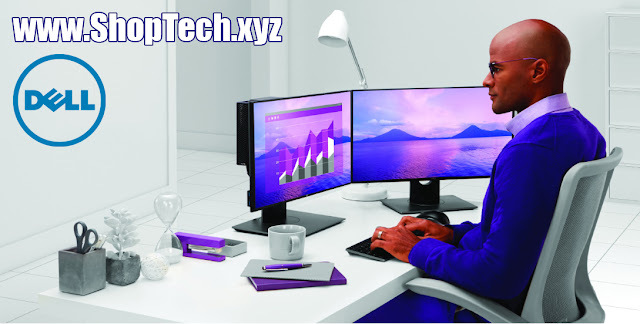 Find Dell Products at www.ShopTech.xyz. Featured at RJO Ventures, Inc. 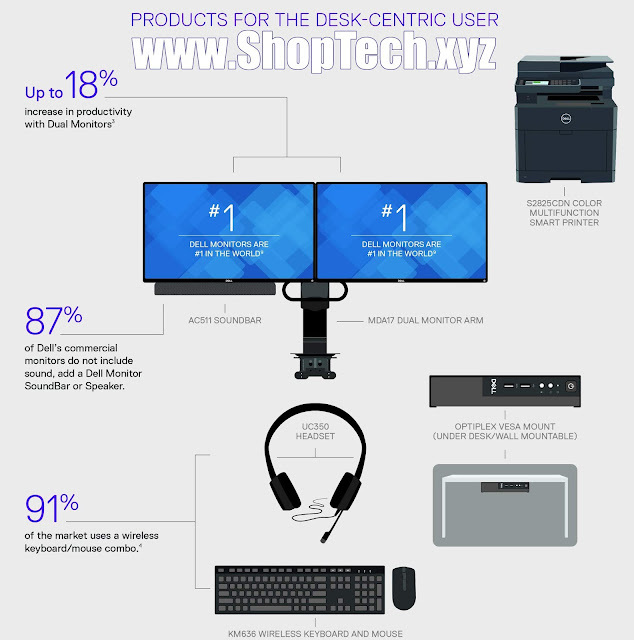 Featured Dell Products Include: S2825CDN Color Multifunction Smart Printer, AC511 Soundbar, MDA17 Dual Monitor Arm, Optiplex Vesa Mount (Under Desk/ Wall Mountable), UC350 Headset, KM636 Wireless Keyboard and Mouse. Users spend most of their day in a designated workspace. A great space keeps them comfortable and work more efficiently. They're free to multitask and maximize productivity - both at their desk and away from it. 74% of global workforce continue to use a desktop for work-based activities. 81% of Millennials say the technology available influences their decision to take a new position.